ATBU admission list is out : The management of the Abubakar Tafawa Balewa University (ATBU) has released the list of Direct Entry and UTME candidates offered provisional admission into its various DEGREE programmes for the 2018/2019 academic session. This is to inform all the candidates that participated in the Abubakar Tafawa Balewa University (ATBU) post UTME screening exercise that they can now check their admission status. ATBU admission list which contains the names of candidates offered provisional admission for the 2018/2019 academic session has been uploaded online. How to Check ATBU Admission List. 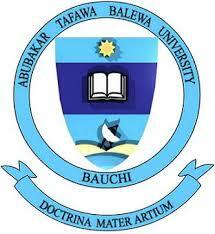 Go to ATBU admission status checking portal at http://atbu.edu.ng/#/ug/checkshortlistedlist. Enter your JAMB registration number in the required column. Finally, click on Search to access your ATBU admission status. Candidates whose names are on the list are to appear for physical screening exercise with relevant credentials scheduled to take place from 24th to 30th of September, 2018. MSG Team congratulates all the candidates that made it to ATBU admission list for the 2018/2019 academic session. pls. when atbu will release remedial admission 2018 ? I applied for atbu bauchi,and uptill now my name is still not out what shouldt l do?? when’ll ATBU postgraduate admission form for 2018/2019. be advertise? That means ATBU finished their DE admission no any supplementary list ? @Sharpguy, no update yet on supplementary list and we can’t guarantee if there will be any. Gud morning sir,i was told last week dt fuam 2nd list was out,i checked thru ur website bt didn’t c anytin,pls,it it really out? @jnr fred, not yet out. Gud morning sir,i was told last week dt fuam 2nd list was out,i checked thru ur website bt didn’t c anytin,pls,it it really out?? @ jnr fred, not yet out. I applied for DE at fce pankshin. when will their admission be released? @Wuna Daniel, it should be out any moment from now.